Anyone looking to go out and purchase a new laptop is almost certainly interested in a couple things: how much does it cost, and what sort of battery life can you expect? 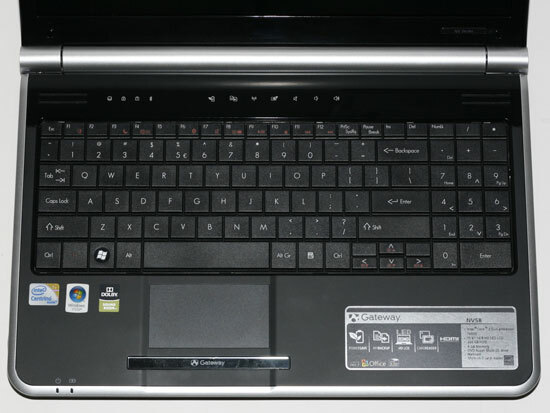 Answering those questions for any specific laptop is simple enough, provided we can get a sample unit for testing. However, it becomes more difficult to answer these questions when you're looking at the big picture -- i.e. AMD vs. Intel laptops. The pricing question is easier: laptops using AMD platforms are (usually) cheaper than equivalent Intel platform laptops. That's simple enough: you're paying more for the Intel brand. But what about battery life? We have long tried to answer that question, but the best we could do up until this point was to compare "similar" laptops. 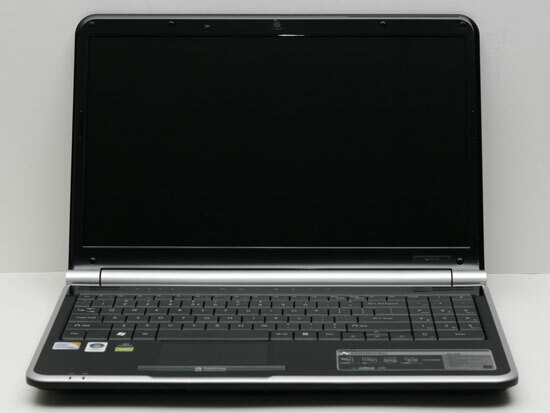 Getting the same LCD, hard drive, optical drive, and most importantly battery has been very difficult -- so difficult that we have not been able to do it. A few manufacturers offer competing AMD and Intel laptops with very similar specifications, but no one seemed willing to send their AMD-based system. Were they afraid of cannibalizing sales of their more expensive laptops? Did they just think that an AMD-based laptop wouldn't stand up well in our testing? We don't know for sure, but what we do know is that Gateway has stepped up to the plate and sent us two all but identical laptops. We've been busy the past week or two putting the laptops through our test regimen, and we will have the full review shortly. In the meantime, we thought you might be particularly interested in the battery life you can expect. 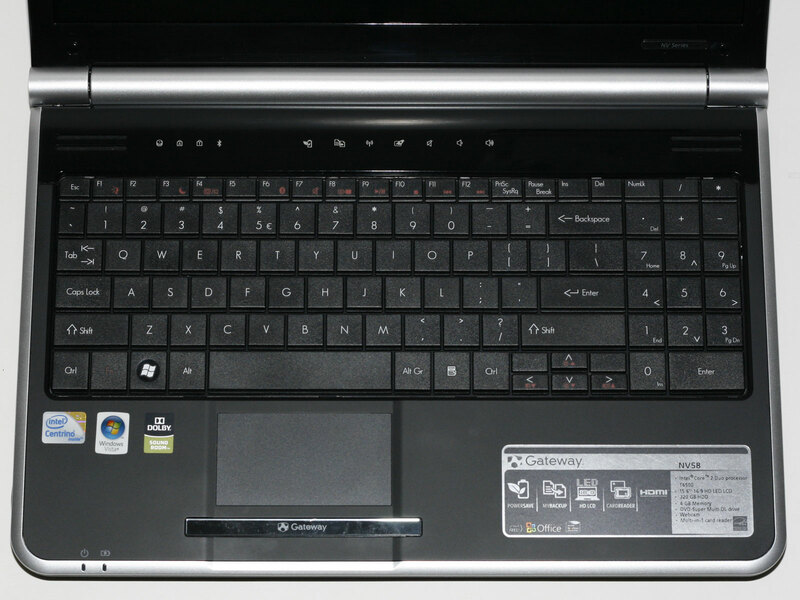 Here's a quick look at the two laptops. On top is the AMD-based Gateway NV52, and below it is the Intel-based Gateway NV58. Here's a second look, focusing on the keyboards. Once again, AMD is above and Intel is below. The chassis are identical from the outside, and everything else is the same as well other than the motherboard, chipset, and processor. 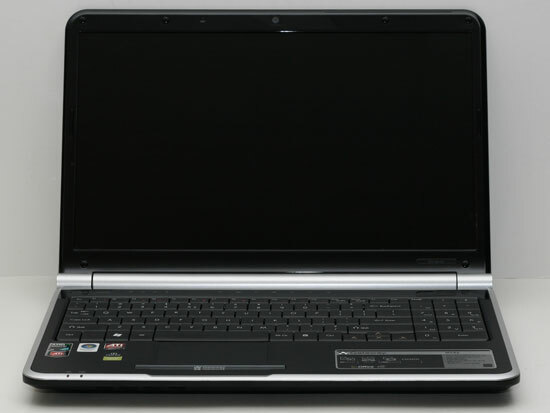 Both come with 4GB DDR2 memory, a 15.6" 1366x768 LED backlit LCD, 320GB 5400 RPM hard drive, and a DVDRW. Both also include Gigabit Ethernet and 802.11n WiFi (Intel WiFi Link 5100 for the NV58 and Atheros AR928X for the NV52). In fact, even the CPUs have the same 2.1 GHz clock speed -- not that CPU clock speed matters -- as well as 35W TDP ratings -- not that that matters either, as we'll soon see. On the AMD side, we have the QL-64 (65nm, 2.1GHz, 2x512K L2, 3600MHz HyperTransport bus), and on the Intel laptop we have the T6500 (45nm, 2.1GHz, 2MB shared L2, 800MHz FSB). We should also mention that the NV58 costs more than the NV52, $500 for the NV52 and $580 for the NV58. What does the extra $80 buy you? We will have performance numbers in our upcoming full review, but considering this is a match between AMD's old dual-core Athlon 64 X2 (K8 architecture) and Intel's Core 2 Duo, you can probably already guess the results. Intel is quite a bit faster in all of the CPU benchmarks. On the other hand, the AMD platform comes with much better integrated graphics, so if you would like to do a bit of 3D gaming on occasion (at low to medium detail levels) AMD easily wins the graphics benchmarks. Now let's look at battery life. Add in a low end nvidia GPU and the price goes up another $150+ and maybe 20% less battery life ? In future articles: consider performance per watt (you said performance will be in the final review); measure power load on battery/mains(minus battery) over time for different tasks/conditions; multiple configs to indicate scailing and normal trends. I bought an emachines M6805 in Jan 2004. As you remember, this machine was the darling of power laptop users in a budget (~$1600) The machine had a mobile Athlon 64 3000+ clawhammer (130 nm) rated at 65 W and 11W in idle. It had a discrete mobility radeon 9600 and a desktop chipset VIA K8T800. Intel had not a CPU that could compete in raw performance with the mobile clawhammer as it only had the mobile P4 or the P-M banias at the time of the mobile Athlon 64 launch, both of which the clawhammer handled easy. It wasn't until the P-M Dothan than Intel matched the mobile clawhammer in performance while achieving lower power consumption. Back into power consumption, the M6805 could go 2:30 - 2:45 hrs running under battery. Some guys even managed to reach 3:10 hr. You would think to achieve that battery life with that kind of horsepower and hungry parts would reuire an immense battery, remember, the K8T800 was a desktop chipset and the mobility radeon 9600 was a discrete powerful videocard, plus the mobile Athlon wa srated at 65W! Well, the battery was only 6 cells rated at 4400mAH.... not big at all. I managed 3:05 hrs after switching form xP to win2K as the powernow worked more efficiently. When I replaced the hard drive for a travelstar 7K60 I only lost 12-15 mins of battery life. Fast forward 5 and a half years. I finally sold my trusty M6805, mainly because at its size flying couch class isn't too practical. 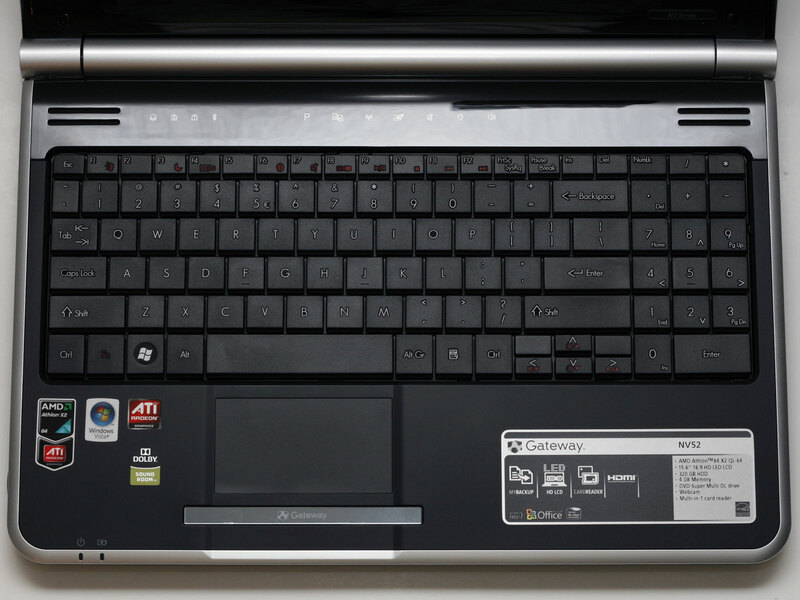 After a ot of time spent in shopping comparison, its replacement was a Toshiba U405D-S2910. The Toshiba sounds years ahead in paper (and it really is years newer) Turionn X2 RM-74 65nm "Griffin" rated at 31 W, 780v chipsetd with integrated graphics, 13.3" screen... one of the very first thing I did when I got it was to check the battery capacity.. the same 4400 mAH. And for many of us it still does matter, so what's your point? One point that I think needs to made is that the Intel notebook costs $80 more than the AMD. Given the fact that we're talking a $500 AMD unit, that's a pretty hefty price differential. On the performance side, the article mentions that the Intel notebook has the faster CPU but the AMD has the faster graphics. This makes it a toss-up in terms of power so for your extra money.